Serious or social, the game’s the thing. 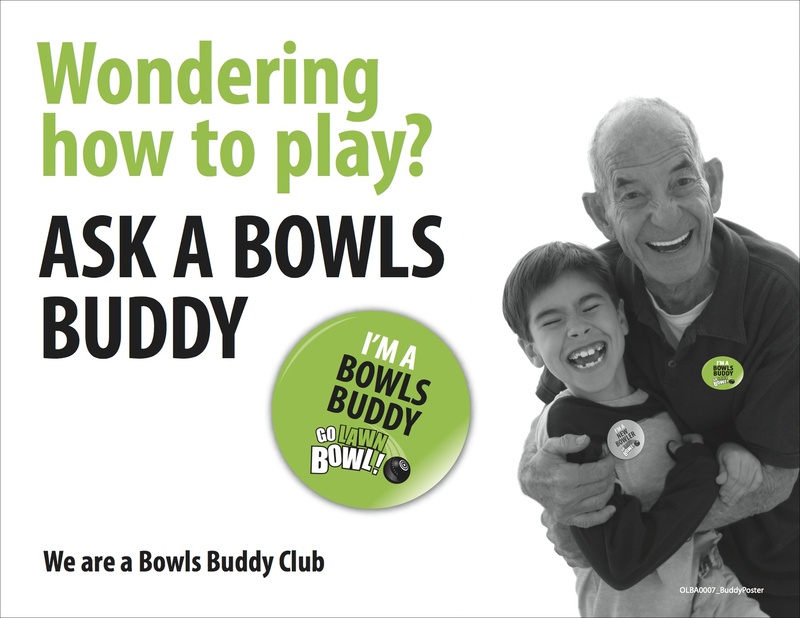 Lawn Bowling clubs are one of the best places to meet people, enjoy competition, participate in social events and get-togethers and, most importantly, have fun. If you’re looking for a place where sport and social life combines, perfectly, a Lawn Bowling club is where you’ll find it. We’re looking to Bowl you over! Consider this your introduction to Lawn Bowling or, simply “Bowls”. The game has been played, in one form or another, for thousands of years, combining strategy, competition, sociability, and affordability, but mainly, a whole lot of fun. It’s a simple game to learn – and one that takes a lifetime, to master. This handout will provide you a basic outline of the game, as well as some of the signals used in the sport. And because we said this is about a whole lot of fun, some of the definitions may be here for that reason alone. Enjoy yourself and we promise to be gentle the first time. After that, you’re fair game. And now, let’s go lawn bowl! 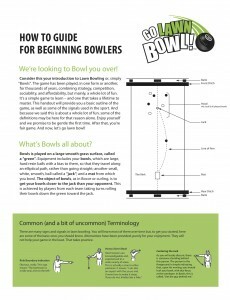 What Is Bowls All About? Bowls is played on a large smooth grass surface, called a “green”. 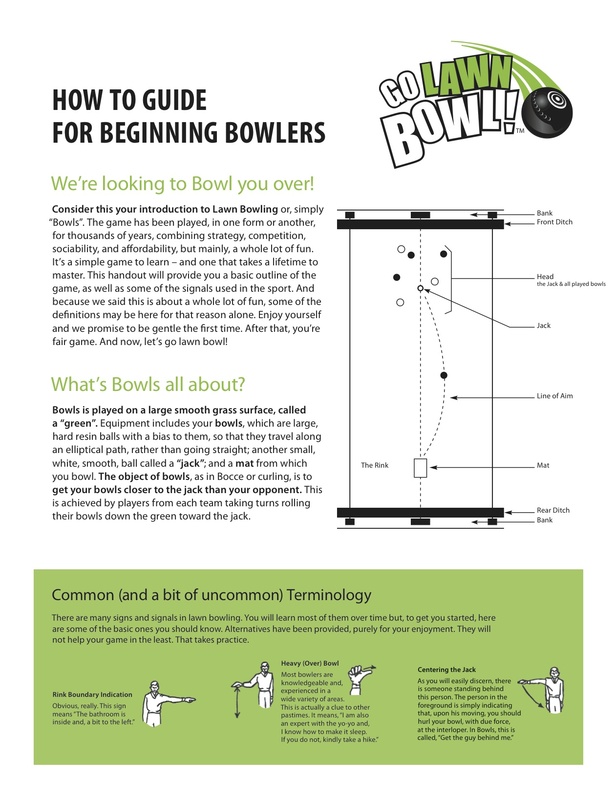 Equipment includes your bowls, which are large, hard resin balls with a bias to them, so that they travel along an elliptical path, rather than going straight; another small, white, smooth, ball called a “jack”; and a mat from which you bowl. The object of bowls, as in Bocce or curling, is to get your bowls closer to the jack than your opponent. This is achieved by players from each team taking turns rolling their bowls down the green toward the jack. The object of the game is to roll the bowl as close to the white jack as possible. The jack is rolled the length of the green to start each end. Where it stops, after being centered in the middle of the rink, becomes the target for the balance of the end. The bowl is not completely spherical, allowing it to curve toward the jack, as momentum is lost. The bowl curves either way, depending on which way it is held during delivery. Outdoor: Is the most common surface of the game of bowls, as there are clubs all around the world that play on grass. These are manicured greens that can run anywhere between 10-18 seconds, depending on what part of the World you are in. As of late more artificial turfs and synthetic material has been used for this outside game. Indoor: Played on carpet in a facility that is the same size dimensions as an outdoor rink. The greens are usually faster on an indoor facility and can run from anywhere between 14-17 seconds. Known more as a finesse game as the rules change slightly to ensure no burnt ends. We are lucky here in British Columbia as we have the Pacific Indoor Bowls Club, the only one of its kind in North America. Short Mat: Is an all-year sport unaffected by weather conditions and it does not require a permanent location as the rink mats can be rolled up and stowed away. This makes it particularly appropriate for small communities as it can be played in village halls, schools, sports and social clubs. At WVLBC plays all year and in the winter we have 6 short mat rinks in the Clubhouse.